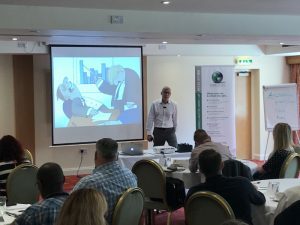 Paul Shrimpling presented “The Simplicity of the Business One Page Plan"
At the start of June, the GreenStones team were joined by Paul Shrimpling who presented “The Simplicity of the Business One Page Plan”. More than 30 local business entrepreneurs joined us to learn about the monthly business plan which can dramatically reduce your working hours and the results you get out of your business! Discovered the key measures driving their business success. Will never again be unsure or uncertain about how well their business is performing. Saw how this tool can act as a brilliant way to motivate them and their entire team. If you were unable to attend our event for any reason, don’t worry, you can always call Nicola Hawksley on 01733 305179 or email her at nicola@greenstones.co.uk and she can provide you with further information. 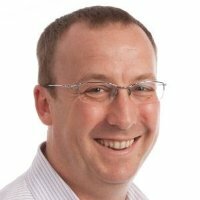 Malcolm Smith will be joining us on 25 September 2018 to ensure you are “Getting Paid What You Are Worth”. Simply visit https://malcolmsmith.eventbrite.co.uk to book your place. Places are limited to 40 so ensure to grab Busines One Pages your tickets busines NOW! Sally has worked at GreenStones since 2002. She maintains the company's bookkeeping records and provides admin support to the team.